And by found, I mean I recieved it in the post on Monday! FIRST off, a HUGE thank you to Chiefkurtz for facilitating this purchase. Which turned out to be further from his home than first indicated. 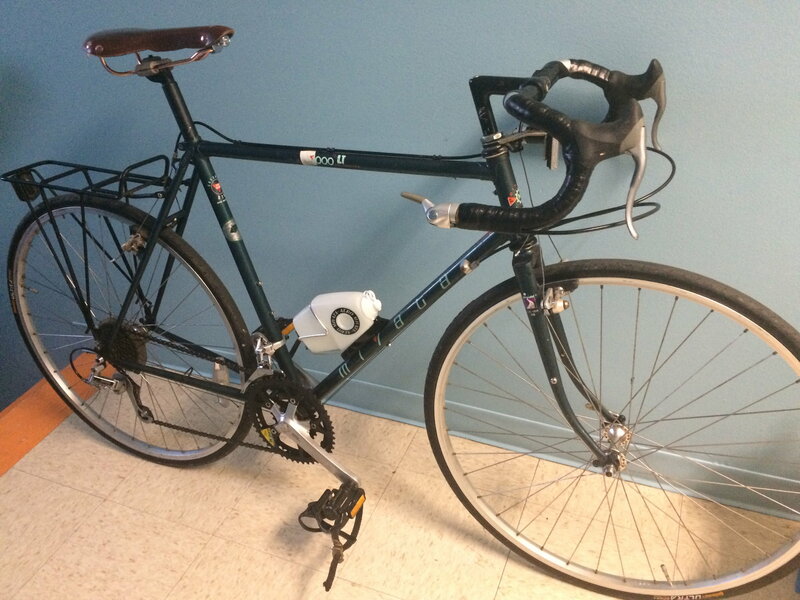 Not only did he pick up this bicycle from lands afar, he then personally packed it in pipe insulation, mailer envelopes, enough zip ties to circumnavigate the equator, and most appreciatedly boxed the fork ends to prevent crushage.  cheers sir! Since Monday I have assembled it and tossed the nasty gel saddle for something a little more appropriate. I’m currently headed to the Chaos Lab to adjust all the cables, air up the tires and take it on a victory lap for the maiden voyage! This will be followed by a thorough disassembly, clean and lube, and reassembly with fresh tape and cables. I am SHOCKED this all came together. I haven’t made an official posting yet because I didn’t want to jinx anything. This is the 1K from the “are you looking for one of these” about a month ago. I didn’t see the link for 3 days, then I contacted Chiefkurtz to facilitate, then I emailed the seller... and waited a week for a response! Turns out he has a vacation home not wired up to the intertubes. A hundred miles from the posted location. Which is where the bike actually was. 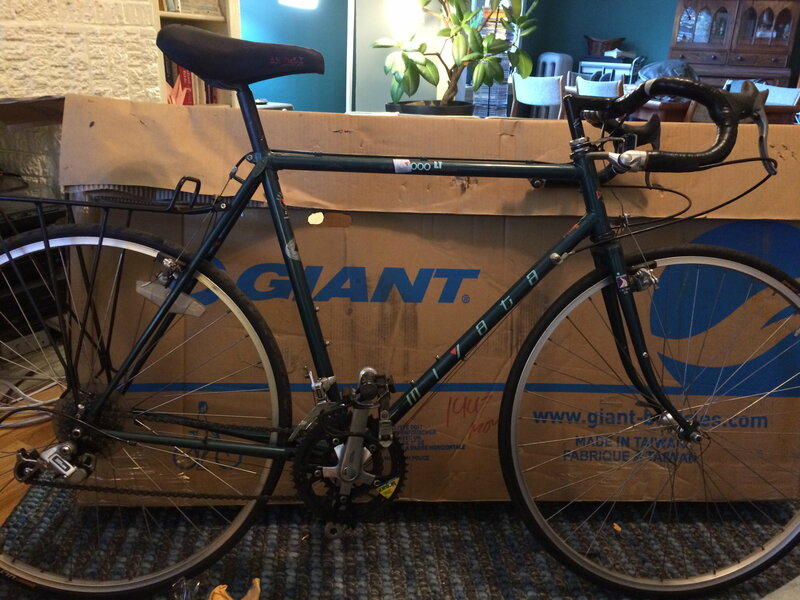 Everything did fall into place though, and I now have the bike I’ve looked for for 7 years. 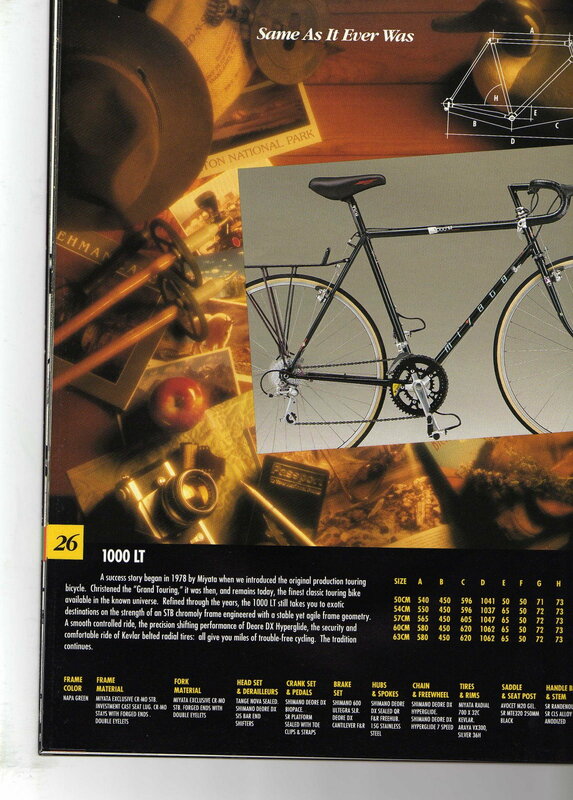 The most desirable factory touring bike, from the only brand that manufactured its own tubing, with fully splined triple butted tubes, including the splined fork(!!) and from one of the most desired years! And from (I’m pretty sure) the original owner. 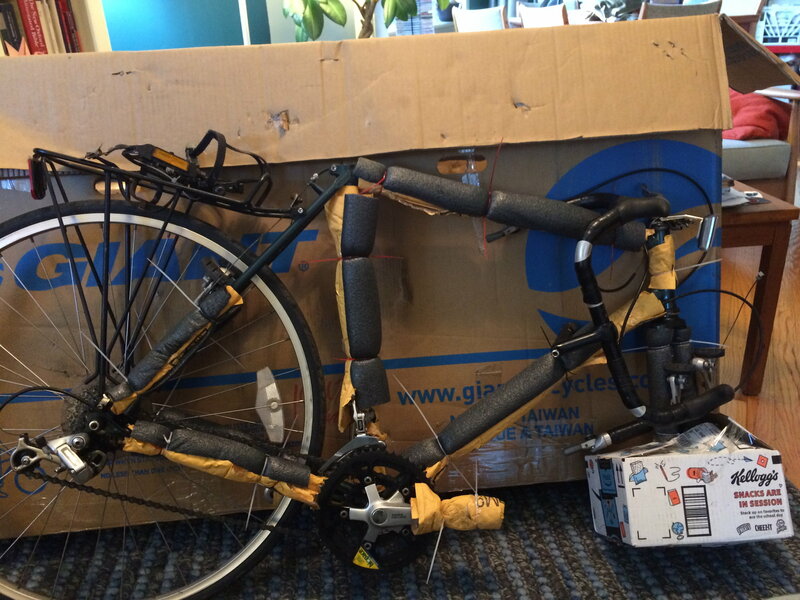 Ok here’s a quick and dirty shot from the unboxing, and the last time you’ll see that saddle. Great looking bike! Looking forward to seeing what you will be doing with it. Congrats, a first (or second) ride report too, please. What size is that frame. I think I saw it still listed somewhere a couple of days ago. I inquired, but haven't heard anything yet. I think the store sticker gives it away as the one I was looking at. I have loved mine since I got it! Always puts a smile on my face! Welcome to the fold. 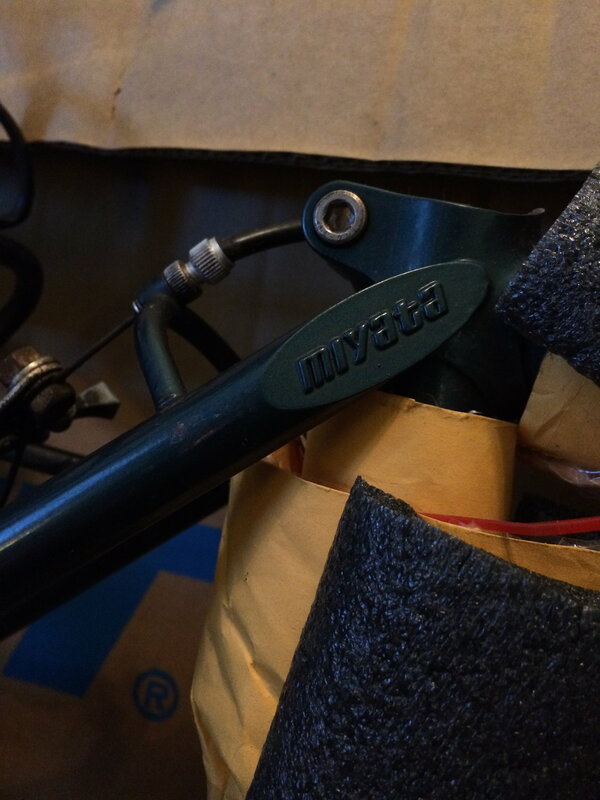 We Miyata 1000 owners are a wonderful bunch of riders. 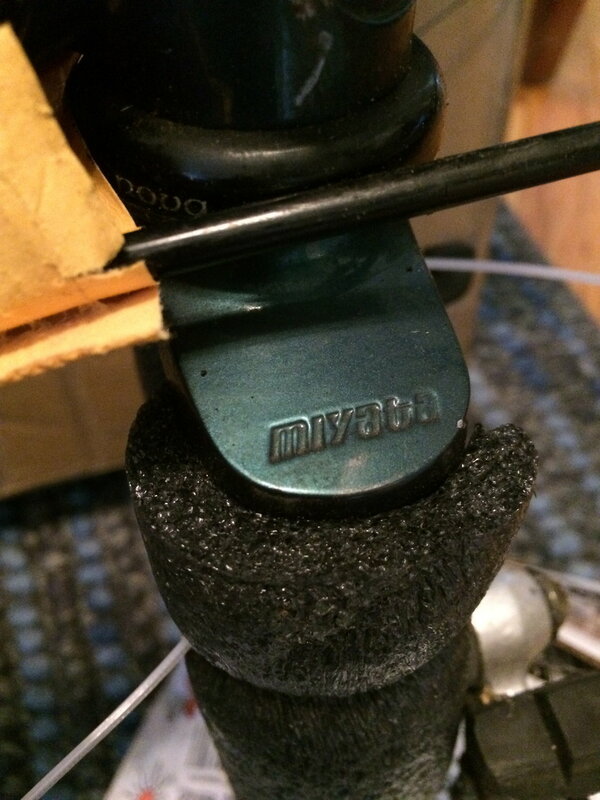 You will enjoy many smiles and your time well spent on your Miyata 1000. I'm totally excited for you! Getting the cables sorted when... DISASTER! I stripped the rear derailleur cable lock bolt! So I pulled it off and threw the suntour on as a stop gap. But so far it’s a sweeeeet ride! 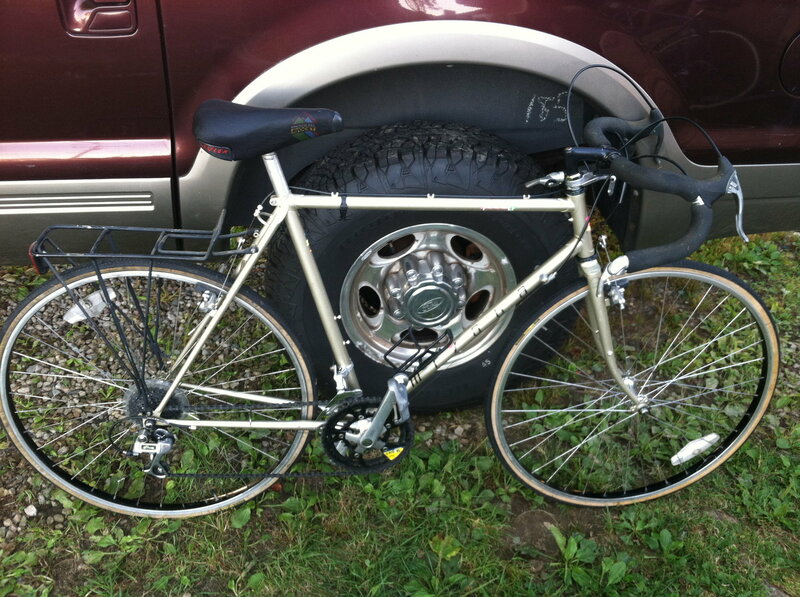 I’d say closest to my ‘84 Trek 610. But more anchored as you would expect. No hands for days. From my first little jaunt I’d say it’s still fun unloaded not exactly zipppy, but really comfortable. I’ll report more when I’ve got more. I REALLY like the rando bars though! Avanti was a shop in this area that opened up right about the time I started repping, begun by a fellow named Sonny. Did not recall that they sold the brand. I might have seen that very bike in the store back then. Nice find! Congrats on a 1000! They are special bikes. I recently sold my '82 1000, which was/is a fantastic rider. Ultimately a 1000 LT with its triple bottle cages, mid fork rack mounts, and longer chain stays would be my goal. I have other touring options at present, but yeah, the 1000 is the best for a reason. Enjoy! Gah! That’s the question, right? I know I prefer suntour to Shimano. Suntour just always seem to snick into place and not need a lot of trimming. So if Suntour is the word of the hour, command shifters seem the way to go. Any thoughts on era? I’m half inclined to go with Cyclone GT, as a known performer. But I could do period correct, whatever was too of the line in ‘91 or there abouts. One thing about shifting on the bars is that I habitually shift with my right hand. 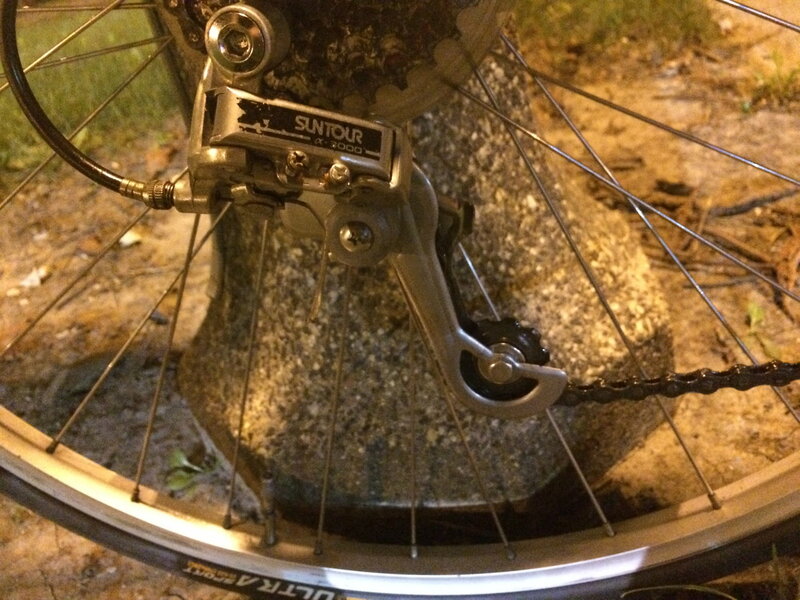 You can adjust both derailleurs at once that way. It felt clumsy having to use both hands to shift. would I be crazy to put componenets that would have been 6 or 7 years old when the bike came out? The more I think out loud about it, the more I like the idea of using down tube shifters and earlier components. 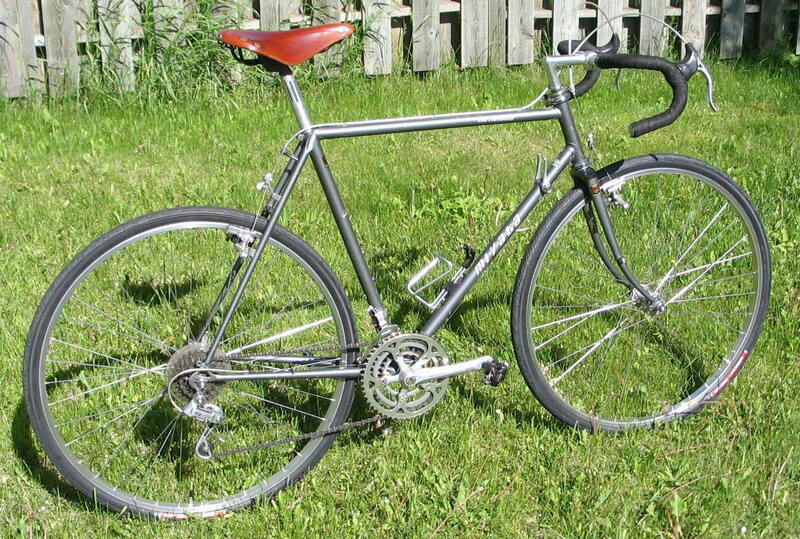 Use the frame but build up a top of the line ‘84 Suntour tourer with it. Use some cheap bar tape for cushioning, and go over it with Cotten, shellac and twine the ends. Make it into an Alex Singer inspired build. I also want to incorporate more brass to go with the saddle rails&rivits. Like the Cannondale Blike Lightning but with a touch of steampunk sprinkled in there. Green frame and copper components. That would be something. Any thoughts? Anyone seen anything like what I’m describing? Hammered copper fenders anyone? That is it. What size is the frame? I think it is too big for me anyway. I won't feel bad knowing it was too big. It also makes me feel good knowing it did not go to one of the local flippers. You will give it the TLC it needs. Last edited by seypat; 09-13-18 at 04:59 AM. 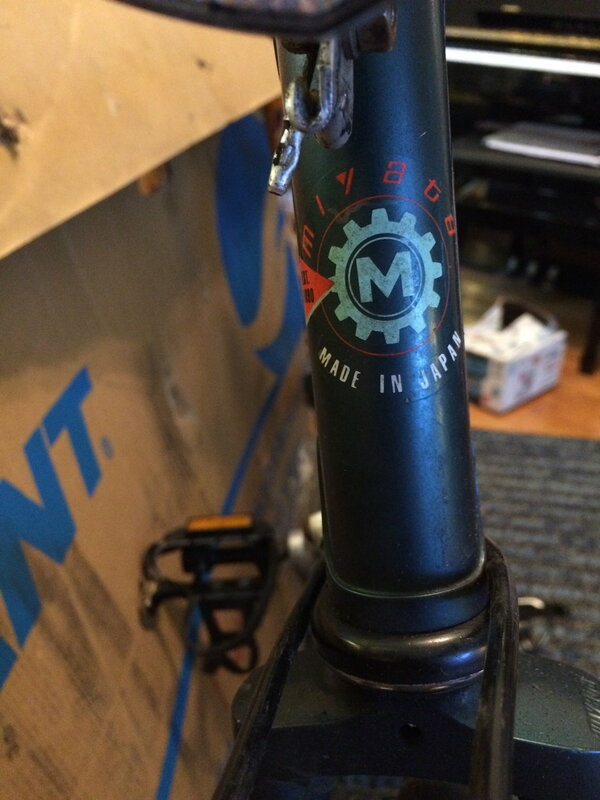 Its 57cm, and Miyata measures to the top of the top tube. 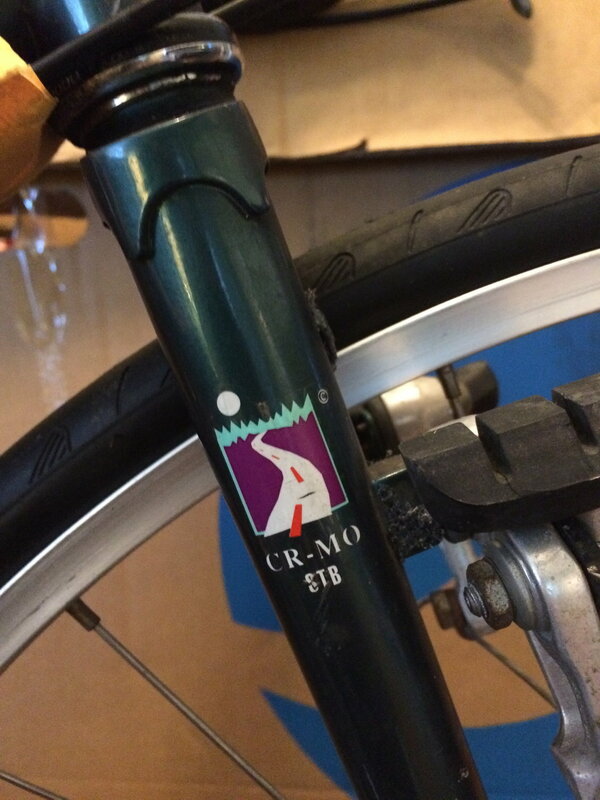 The ctc top tube is 56.5 cm. But so far it’s a sweeeeet ride! I’d say closest to my ‘84 Trek 610. But more anchored as you would expect. No hands for days. From my first little jaunt I’d say it’s still fun unloaded not exactly zipppy, but really comfortable. Re: the cable pinch bolt- Your DX derailleur looks really clean- so I’d think about repairing it. Shouldn’t be a big deal- it’s the same bolt between MT-60 and M735- and probably many more. You should be able to hold open the parallelogram and push the bolt up and out. Get a beat up donor and swap! I think “grounded” is the word I’ve used to describe the ride- it’s stable- there’s not a lot of “give” to the bike. It’s a confident bike! first thing when I stripped that bolt, ok, second thing, first was remove the part. It’s basically a carriage bolt, squared under the head. I’ll be replacing that. It also needs cleaning, and one of the jockey wheels is missing a tooth. My fiancé is going on tour for a couple days, and I’ll have the time to do a proper clean and lube, down to the frame. I want to wax that frame too. Then put the whole thing under my pillow at night. I don't feel bad then. It went to the right person. 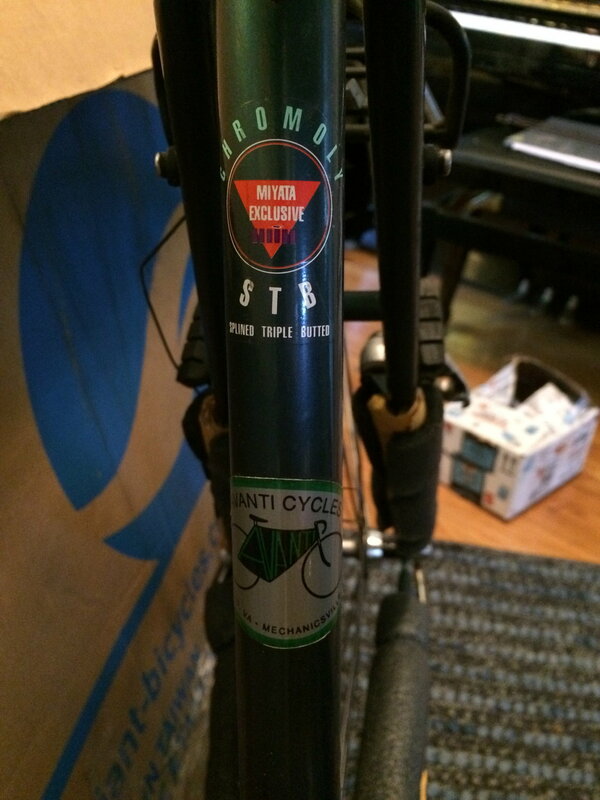 I have a 57cm 912 frame. The 56.5 TT is ok, but not much seatpost showing. For me, the 54 would be a better fit. I just received a response saying the bike was sold. The organized charity ride I was doing on Saturday in Hanover (where the bike was listed) got canceled because of Florence. I would say I'm having a bad week, but the Hurricane turned away from VA. It's all good. Good for you but it sure is ruining my weekend! There she is at work, man that flat green paint is hard to photograph! So I’ve put forward a couple build ideas, how have you set up yours? Maybe I should scan through the touring rig setups thread, but what goes on tw queen of the fleet? Congrats on landing a great bike and joining the 1000 club! 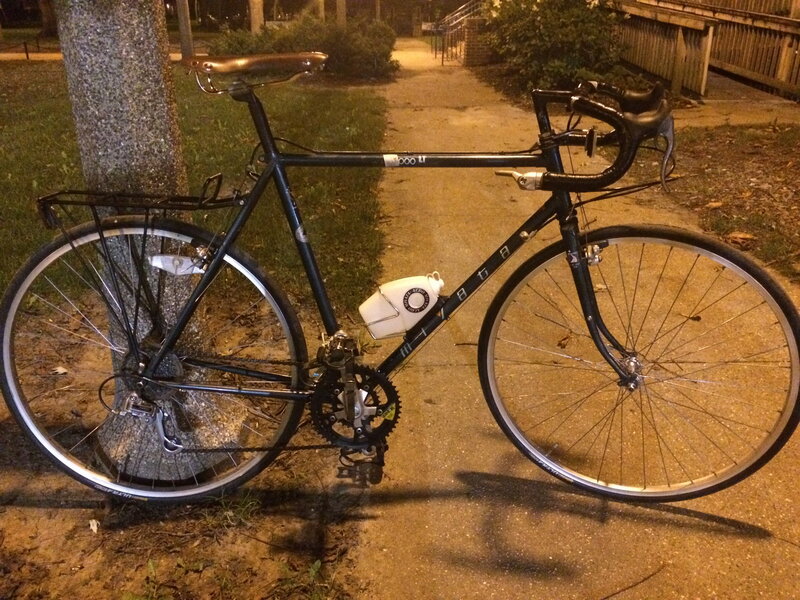 My '84 model may be my favorite bike to ride - so comfortable and it rides faster than it looks or weighs. I agree that you aren't getting the green to show well. Still looks like black. Get it somewhere bright so that great color can quit hiding. Great bike, meant for you. Miyata had you in mind, right?